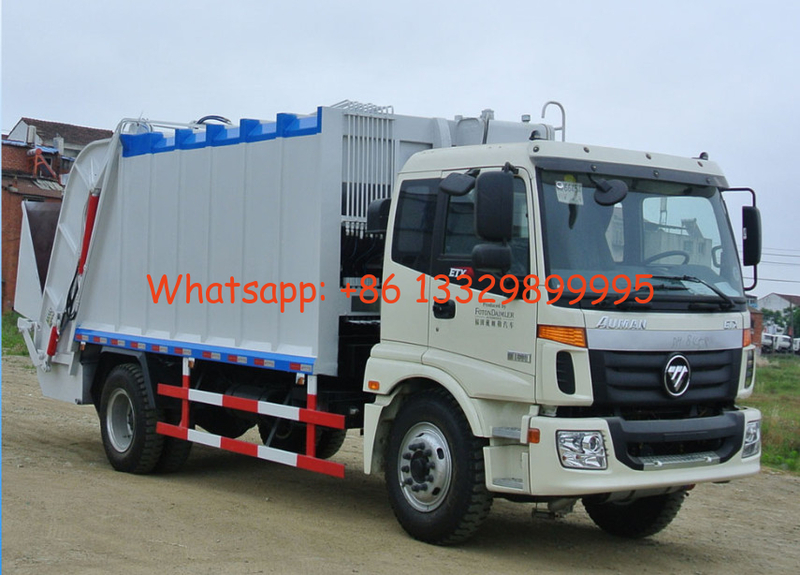 Chengli Special Automobile Co., Ltd. is the leading manufacturer and supplier of garbage wastes trucks in China, garbage dump truck, garbage compactor truck, swing garbage truck, hook lifter garbage truck, side self-loading garbage truck, etc. Our CLW brand garbage compactor truck is constructed with 12# low alloy steel 4mm, 5mm, 10mm steel. The body is fitred on the chassis by the truck beam. The body floor is fully sealed. All the sewage can go directly into the sewage tank, so as no to corrode the body and chassis. Moreover, it can also prevent the sewage leakage while the truck is driving on the road and avoid the secondary pollution. 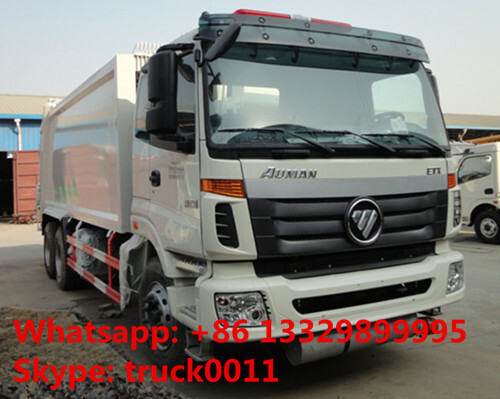 If you're interested in our FOTON AUMAN garbage compactor truck, please send email to szhj9999@163.com or call +86 13886878855. Chengli Special Automobile Co., Ltd. is the leading manufacturer and supplier of garbage trucks, such as garbage compactor truck, refuse garbage truck, side loader garbage truck, swing arm garbage truck, rear loader garbage truck, hook lifter garbage truck, etc. More information, please feel free to contact with Ms. Anita Deng.